In the woods behind the house, there is a small patch of ground where loganberries grow among the brambles. 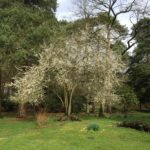 These must have originally been raspberry plants that crossed with the abundant and well established brambles to form hybrids. They survive from year to year, but only just. And they have never spread further afield. I have not seen wild raspberries in the woods since the 1960s. 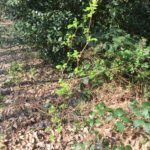 Out walking with the dogs yesterday, we came across these tall canes growing along the edge of the path in an area where there have never been any loganberries before. Several more seedlings are growing nearby too. They could be loganberries, but they look very similar to the raspberries we have been raising in the garden these past few years. 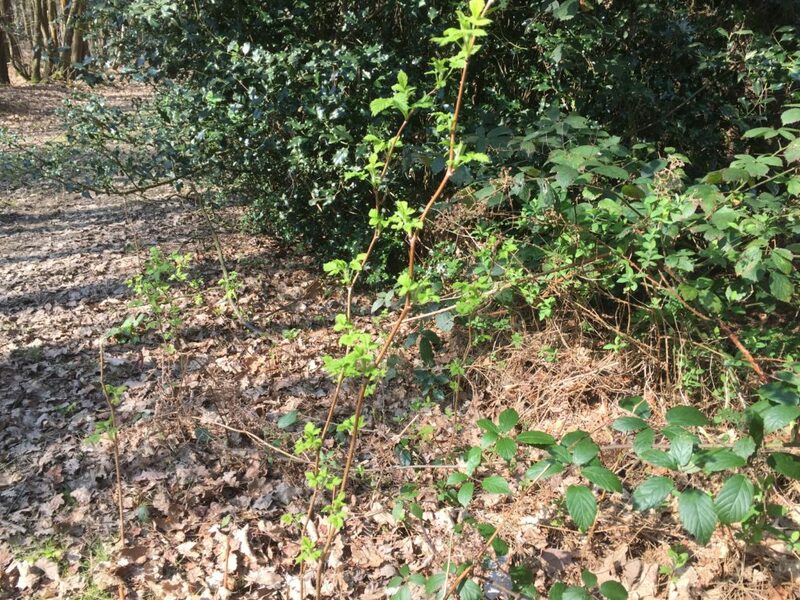 I hope that they do indeed turn out to be raspberries, brought into the woods by birds or other creatures, and that they will form little colonies in what is, after all, a raspberry’s natural habitat. Two weeks, during high winds, we had a power failure that lasted all morning. My friend, who was staying here, came downstairs and said, “What do you do about grumpy guests?” I replied that I never have grumpy guests. The implications of the power cut hadn’t really registered with me, as power failures are frequent here in winter, but tend to happen in the afternoon. And then it dawned on me. What if I’d had paying guests that morning? How would I have prepared breakfast? With a non-functioning shower pump, guests probably wouldn’t have been able to have a shower, which would already put them in a bad mood. Their bedroom kettle wouldn’t have worked, so no hot drinks. Then they’d have come down to a cold breakfast without tea or coffee, let alone the cooked English breakfast they’d have been looking forward to. They would have had every right to be grumpy. Such a scenario would have been nightmarish. Complaints on Booking.com would have lowered my score dramatically. I would have had to give refunds. I decided that I must have a backup system in place. Ironically, there have been articles in the press recently about how gas cookers were to be phased out as gas is not a “green” source of power. 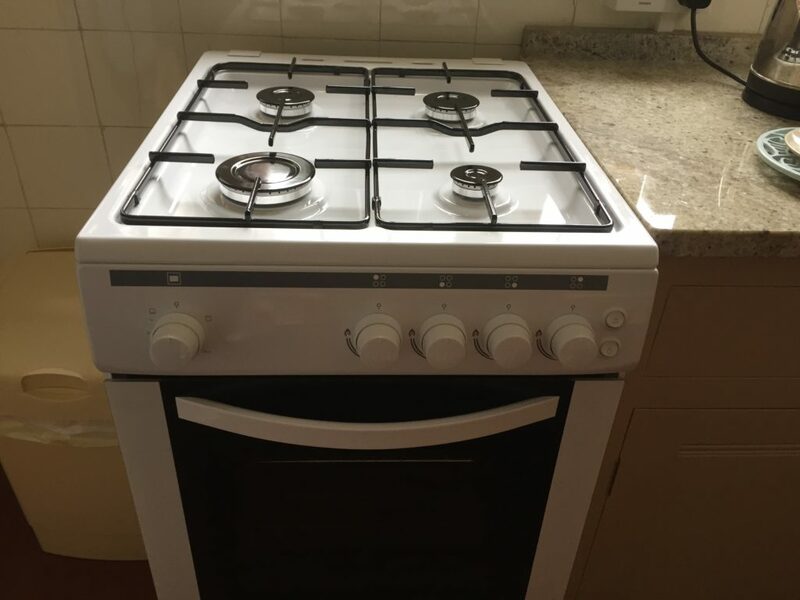 My plumbers found this model for me — one of the very few available whose hobs, grill and oven can all be fired up manually during an electricity outage. I have installed it in the small kitchen, which doubles up as a guests’ kitchen. 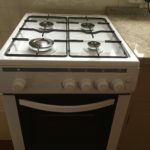 It replaces an electric cooker that occupied the same space. Soon a group of friends are coming to stay. I shall ask them all to pretend to be grumpy guests for one day so that I can rehearse cooking breakfast for six people on a tiny cooker at the other end of the house from the dining-room. February always rushes by and this year was no exception. We had some remarkably warm days (though the nights remained cold). 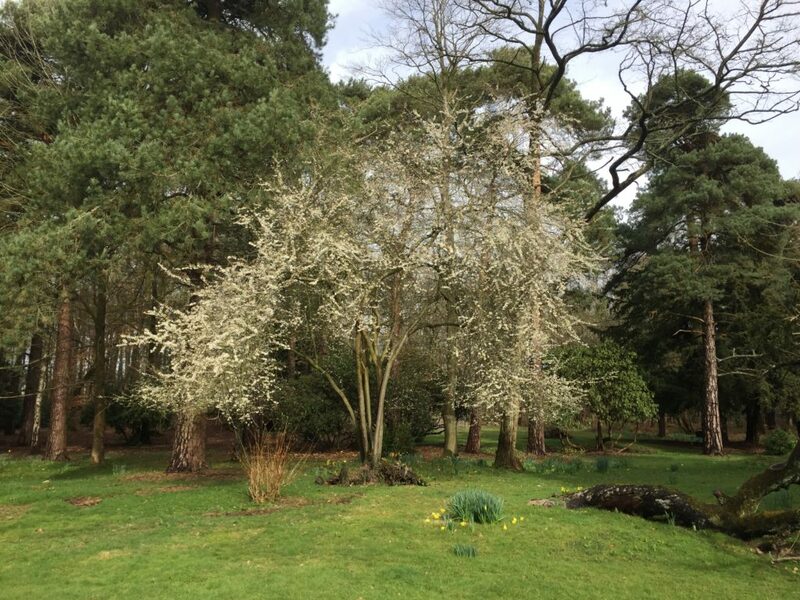 March has arrived, and this wild cherry is in full bloom, looking lovelier than ever now that it has been allowed to spread its branches unencumbered by those of a neighbouring tree which was taken down a few weeks ago. Cereals are strange things. 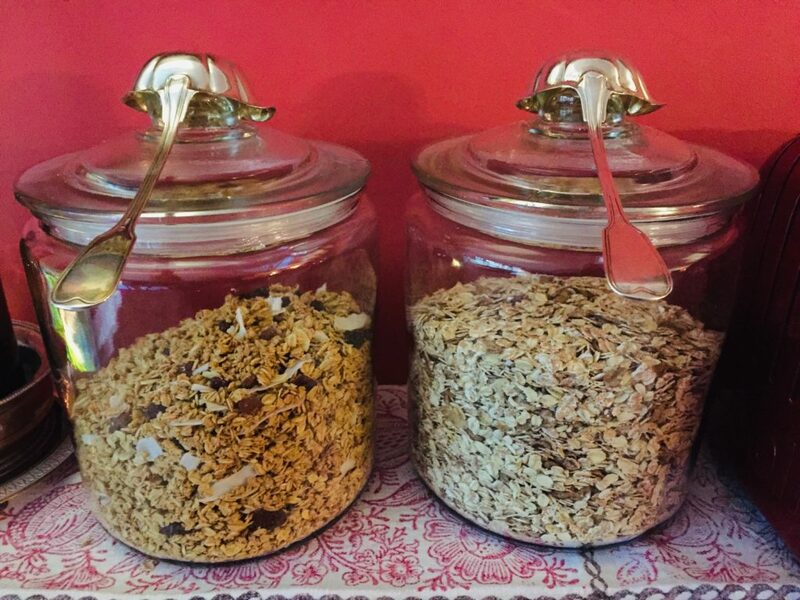 Most guests have some muesli for breakfast, but the cornflakes tend to get ignored. As I decanted the jar of flakes that I decided had been there too long (the chickens devoured them with delight! 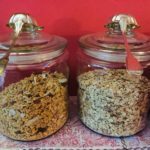 ), I decided to refill the jar with granola, which seems to be more fashionable these days and goes far better with fruit and a dollop of cool, plain homemade yoghurt. Part of the reason is that in my local supermarket, cornflakes are only available in gigantic “family” packs that would take years to get through, so there is a lot of wastage. Granola comes in smaller packs and, besides, I intend to make my own. Snow fell last night for the first time since last March. 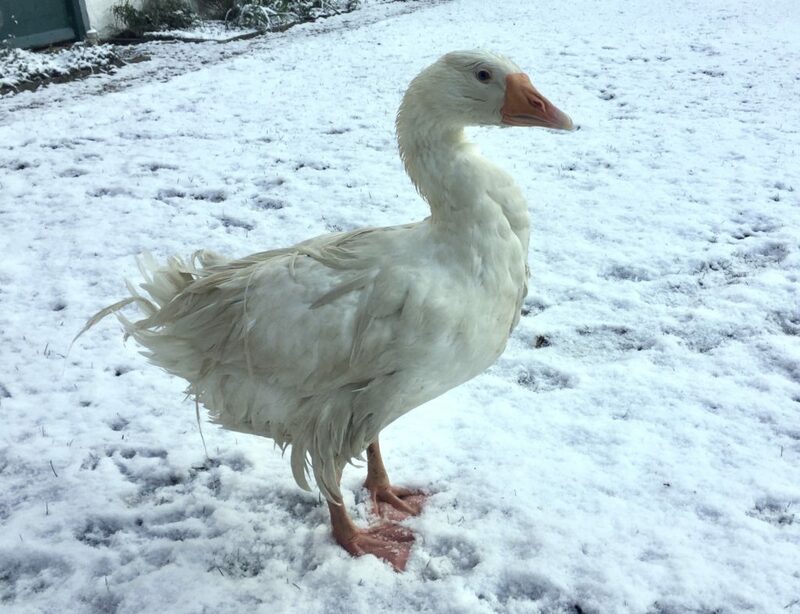 There isn’t much, but Jemima is enjoying it this morning, pretending she’s a Snow Goose (anser caerulescens). Snow Geese are a North American species, and come in two varieties: blue-grey (hence the Latin name which means Blueish Goose) and pure white. 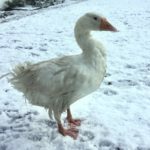 Our Sebastopol Geese may look a little like Snow Geese, but they are not related and belong to the European Greylag Goose family (anser anser, or “goose goose”) Jemima is the photogenic one. She made sure to preen her feathers before having her picture taken. The other two were looking too bedraggled for a photo shoot this morning. Today, the hallway floor looks normal again after its recent open surgery. Its wound has healed and you’d never know that three weeks ago it suffered a severe trauma when a major artery in the form of a central heating pipe burst beneath its red-tiled skin. Luckily the plumber happened to be here when the crisis occurred. We were chatting in the hallway when we heard the tell-tale sound of a sudden, thunderous rush of water not far from where we were standing. Guests were due to arrive next day, so I had to cancel them immediately as there wouldn’t be any heating and cold nights were forecast. My plumber then began to look for the source of the leak. Knowing that it was in or near the hallway helped to locate the rusted pipe. 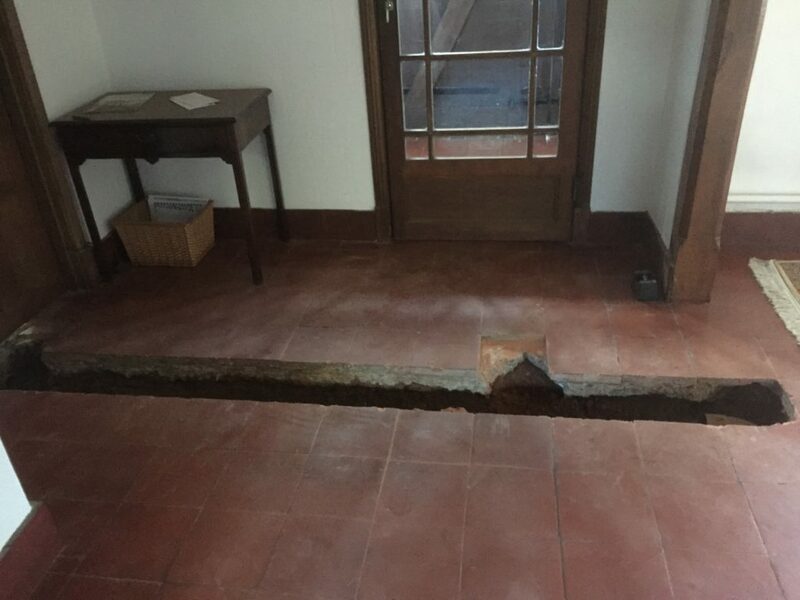 We knew it had to be underground because there was no sign of water leaking from the ceiling or any of the exposed pipes. Some of these old steel pipes date from 1948. To replace all of them would involve digging up vast areas of tile and concrete. The best we can do is to deal with them as and when individual pipes or sections fail. 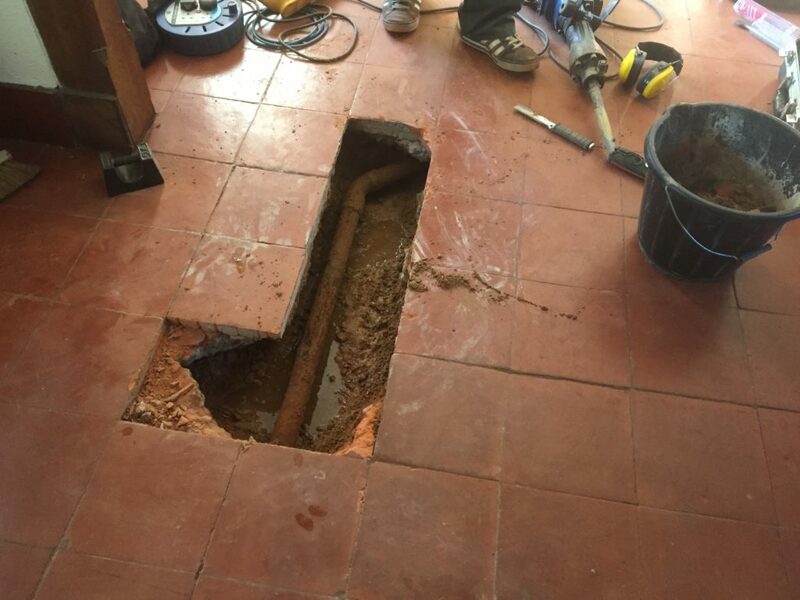 Having found the rotten pipe, the plumber removed the whole section and fitted a copper one in its place with brass connectors at each end. This left us with the problem of how to repair the gaping wound. Unfortunately, quarry tiles like these are no longer manufactured. They measure 9 inches by 9 inches and are one-inch thick. Replacing the broken ones (and it’s virtually impossible to get them up without breaking them) is not easy. Fortunately, one of the reclamation yards in the area had some nine-by-nines in stock, though they were not as thick and were slightly lighter in colour. 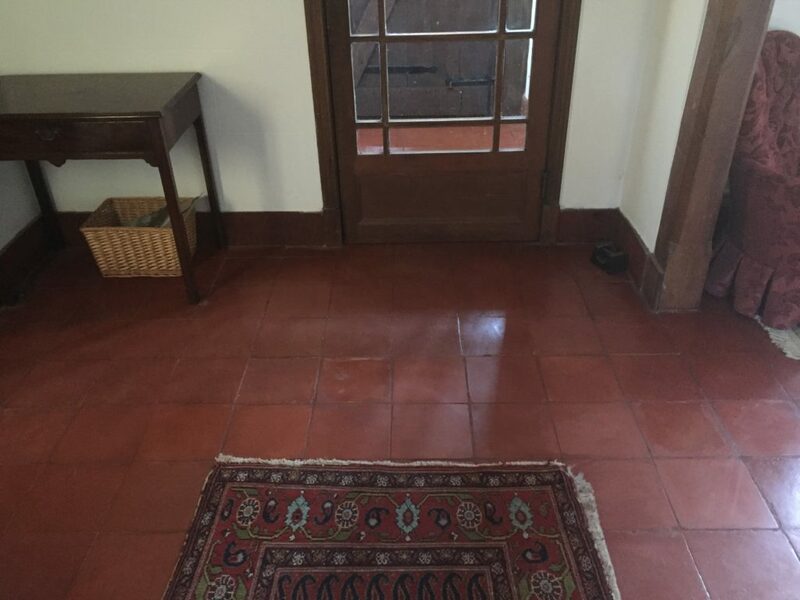 However, after building up the concrete to the correct height and applying red-tinted cement and red wax tile polish to the unsealed tiles, you can barely see the scar. Although bookings are few and far between at this time of the year, we are open for business and will have a full house on Christmas morning. 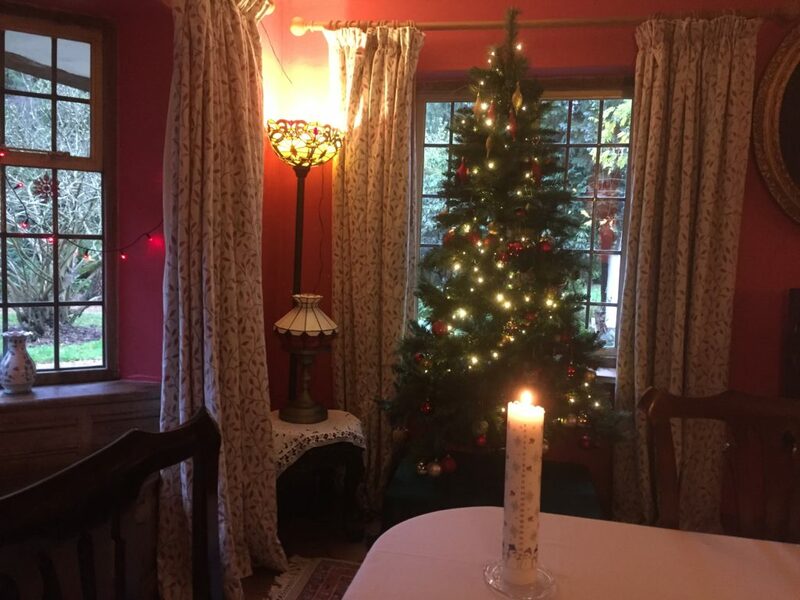 The dining room, where guests have breakfast, looks particularly warm and inviting in December. Today I found the perfect solution to a problem that has been niggling me for some while. Sourdough can be temperamental. In the summer months it behaves beautifully and I can make a loaf in about 26 hours. But when the weather turns cooler it can take a loaf the best part of a day to prove instead of an hour or two, by which time it has lost a lot of moisture, even if you try to enclose it in a bubble with plastic sheeting. I used to put it in the airing cupboard, but even that is unpredictable as the temperature there varies considerably at different times of the day, depending on whether the boiler kicks in or not. To address the drying out problem, I often keep my dough wetter than it should ideally be, and that causes other problems and does not really prevent the outside from forming a skin, which then prevents the loaf from rising properly. Here’s my solution, which guarantees consistency and good results. 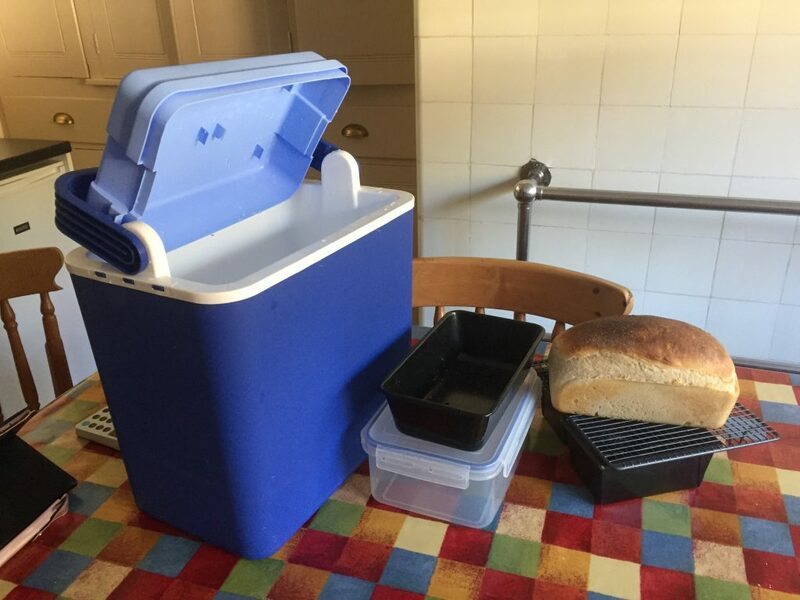 When your loaf is ready for proving, take a large insulating ice box and fill the bottom two inches with very hot water. Put an upturned box or rows of empty jars in it to form a stand so that the loaf tin is not in contact with the hot water. Place your loaf tin on the stand and close the lid. The hot steam swirling around in the ice box will make your loaf rise in just one hour and it will be beautifully moist as it goes into the oven for the bake. I make my sourdough loaves in tins rather than freeform because guests like toast and it’s tidier to have uniform slices that fit the toaster. Bakers might wonder why it takes me 26 hours or more to make a loaf. It’s because I make a “sponge” from starter, flour and water in the morning, which I leave all day for the flavours to develop before adding more flour and kneading it in the evening. The dough then rises slowly overnight in the larder or the fridge, depending on the time of year, is knocked back after breakfast and is proved until ready to bake. With this new speeded up proving process I can have it ready by lunch time at any time of year, no matter what the ambient temperature is. I bake in batches, once or twice a week depending on the number of guests, and I alternate between white loaves and wholewheat loaves made with stoneground flour. Yesterday Jemima (on the right), welcomed two new residents. We hope she will enjoy the company of birds of her own species, having been a lone goose among numerous hens for so long. We had to get rid of our Chinese Crested geese many months ago because they were too aggressive. But Jemima has always been a gentle creature with a mild temperament, which we hope is characteristic of her breed. 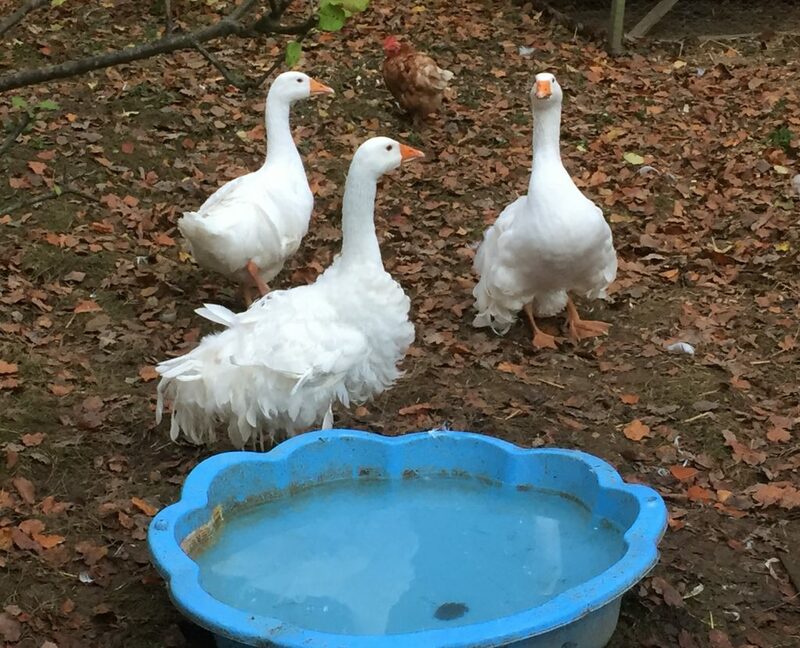 Her new companions are also Sebastopol geese and are seven months old. Names for them will have to wait until it is absolutely certain what gender they are. Changing the subject to breakfast, here’s an update on the Belgian waffle situation. I reported earlier that I was thinking of including waffles on the breakfast menu. Having redesigned my breakfast order form recently, I thought I’d included waffles as an option on a trial basis to see if there would be any take-up. Ever since then, hardly a day has gone by without someone putting in an order for a waffle. On Sunday morning a Belgian couple, who had asked for croissants on previous days, ticked the waffle box. “But Belgians never eat waffles for breakfast,” I protested. “Ah, but it’s Sunday, so we’re allowed a treat”, they responded. That clinches it. If a Belgian says it’s okay to eat waffles first thing in the morning, that’s good enough for me. Waffles are now officially on the breakfast menu. September was almost constantly fully booked, so I had to use the services of a laundry company to help with the ironing. This was a bad idea. 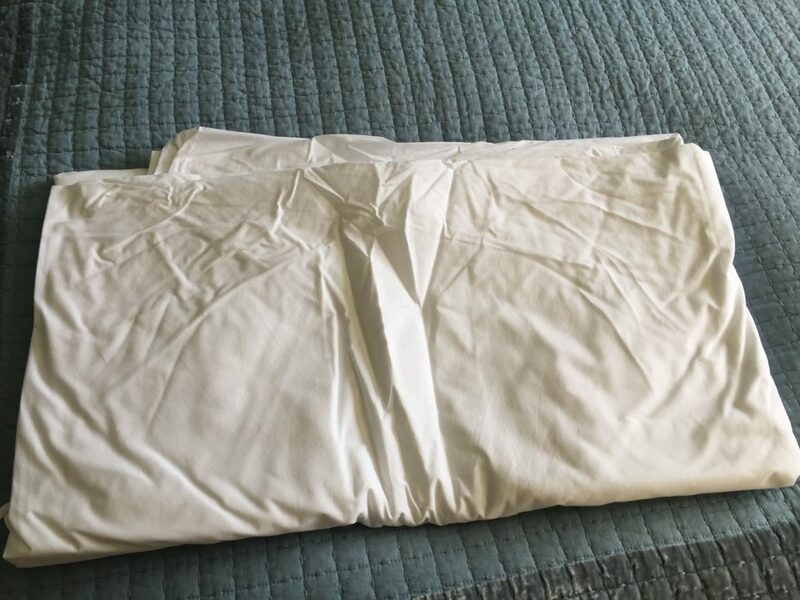 The “ironed” sheet in the above photo was one of 26 items that were sent out for ironing and came back looking worse after they’d been pressed than before. Not only did this company use hand-irons to do the pressing (I asked them! ), but they transported and delivered them, badly folded, in floppy bags. The service was not cheap either. The company’s response to my photo was to invest in a commercial linen press and better bags. However, once bitten twice shy, and I decided not to take up their offer of a lifetime discount for all future orders. As I was still casting around for a better solution, my Belgian cousin sent me a message. He’d read my news pages (where laundry management is a recurring topic) and said that I absolutely must use a rotary iron (calandreuse, is the lovely French word for these machines). I’d never seen one before, but I knew they were very expensive, due to the low volume of sales by comparison with, say, washing machines or tumble dryers. When he said he’d had his for more than 25 years and it was still working, I was convinced. 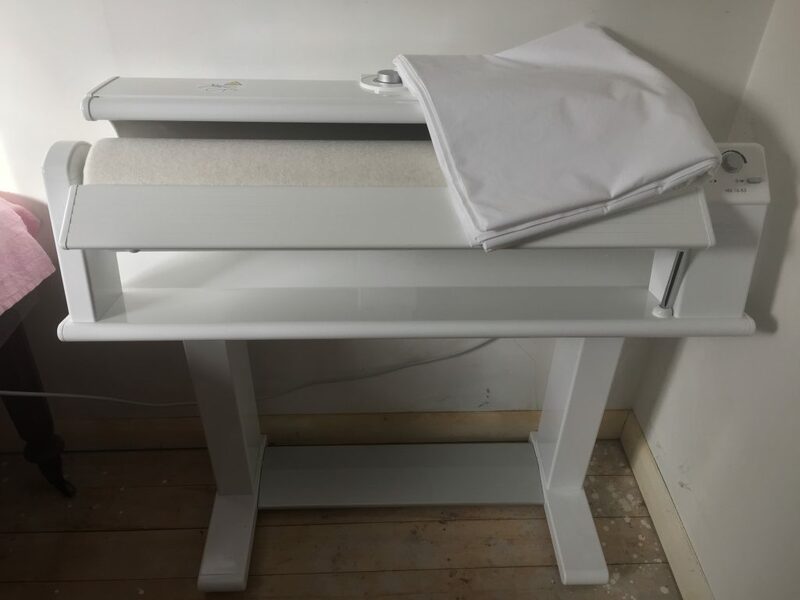 My table-top press will still be useful for napkins and small items, but this heavy duty machine (39 kg) presses bed linen with far less effort in a fraction of the time. There is less preparatory work too than with the small press, so more time is saved. Here is my Miele HM 16-83, with a beautifully pressed sheet resting on the top, which is what I’d expected the sheet in the top photo to look like. After a good oven, this is the best investment a B&B owner could possibly make. Merci, Cousin!